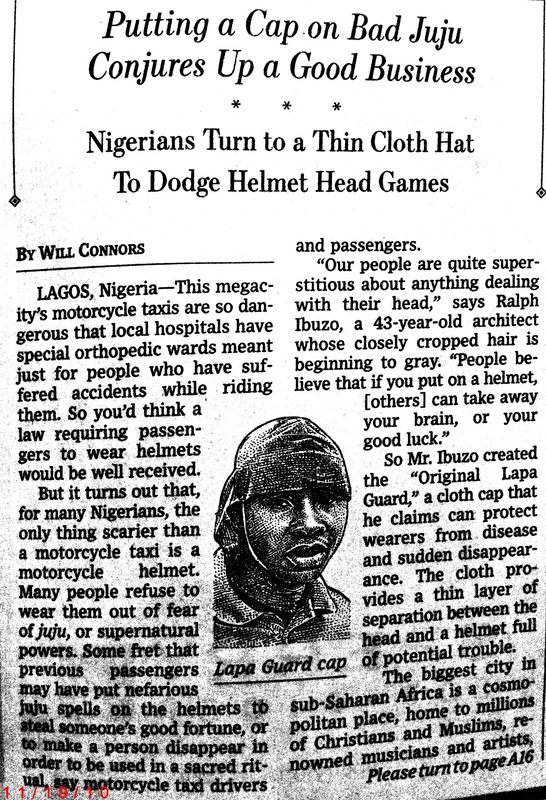 When the masses fear wearing curse-carrying helmets, this guy puts on his thinking cap and invents…a cap. This entry was posted in culture, shenanigans, travel. Tagged helmets, motorcycle, news, Nigeria, shenanigans, travel.